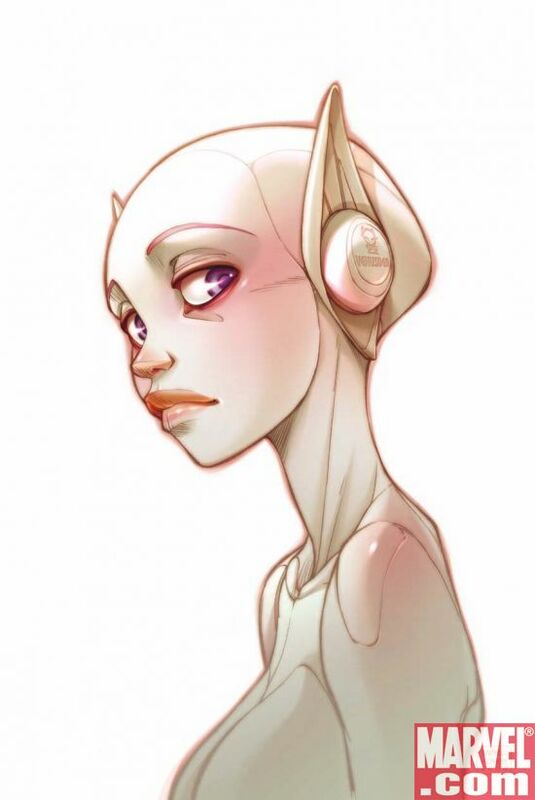 Marvel has unveiled the variant cover to Sky Doll #1, and we have it after the jump. 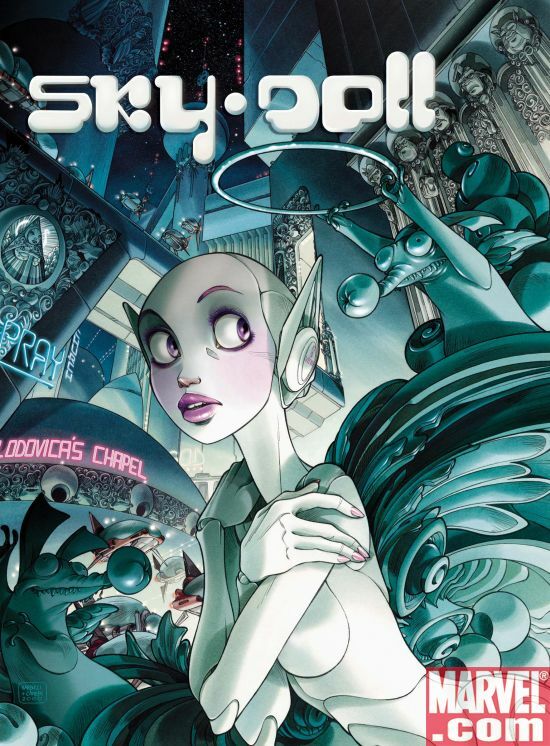 Arriving in May with a brand new English translation, Sky Doll introduces North American readers to the timely socio-political thriller in which a young android must decide her destiny by challenging the very governmentâ€”and faithâ€”that has controlled her life. Nowâ€™s your chance to discover why this series took Europe by storm! This is the first release in a new partnership between Marvel and cutting-edge French publisher Soleil! What do they mean of mature content free? The series is almost about super sexual dolls! I have to admit, this series vexes me. I’m intrigued with the concept, but I’m just not sure who the book is AIMED at… I’ll read it, presuming Deon orders any.